As a parent, I’m sure I’m not the only one who is blessed with some weird and wonderful creations, courtesy of my boys’ efforts at school over the years. Until the cat knocks it off, of course. “A what? ?” I asked, quickly checking the contents of my tea cup. “An eyeball! Look!” he said, pointing to the Christmas tree. 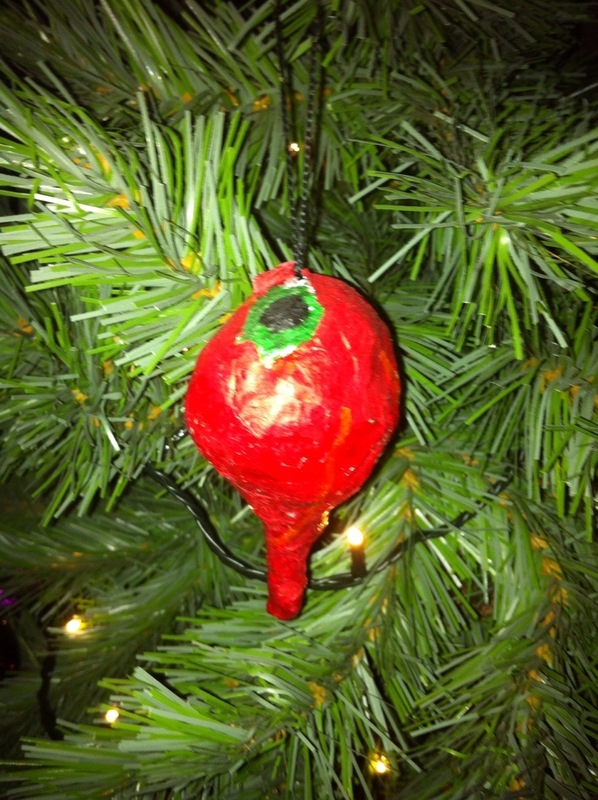 There, hanging proudly on the tree, was a red object: spherical with a long tapered end, complete with string attached. “No, it’s an eyeball. I made that at school years ago!” he replied, starting to laugh. 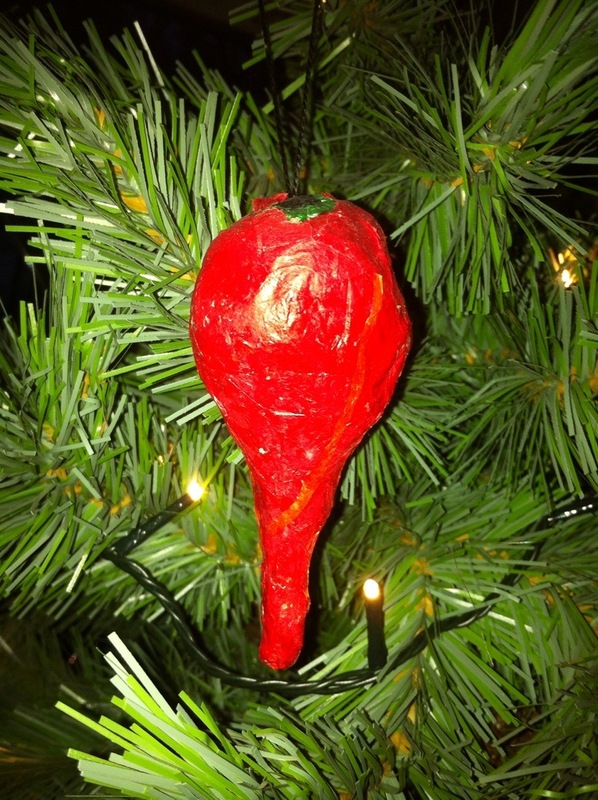 “But we hang that on the tree every year!” I giggled. How very absurd. As I began to examine the questionable object I was none the wiser, until son no 2 grabbed hold of it and turned it over. “Look, there’s the pupil!” he exclaimed. There indeed was a black circle on the top with a green ring around it. “But I thought that was part of the decoration!” I managed to say through the hilarity.